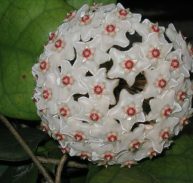 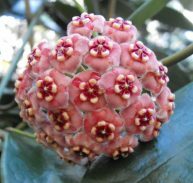 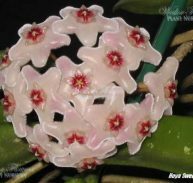 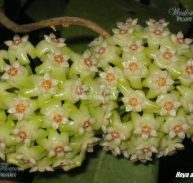 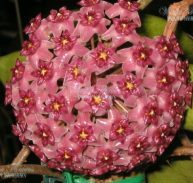 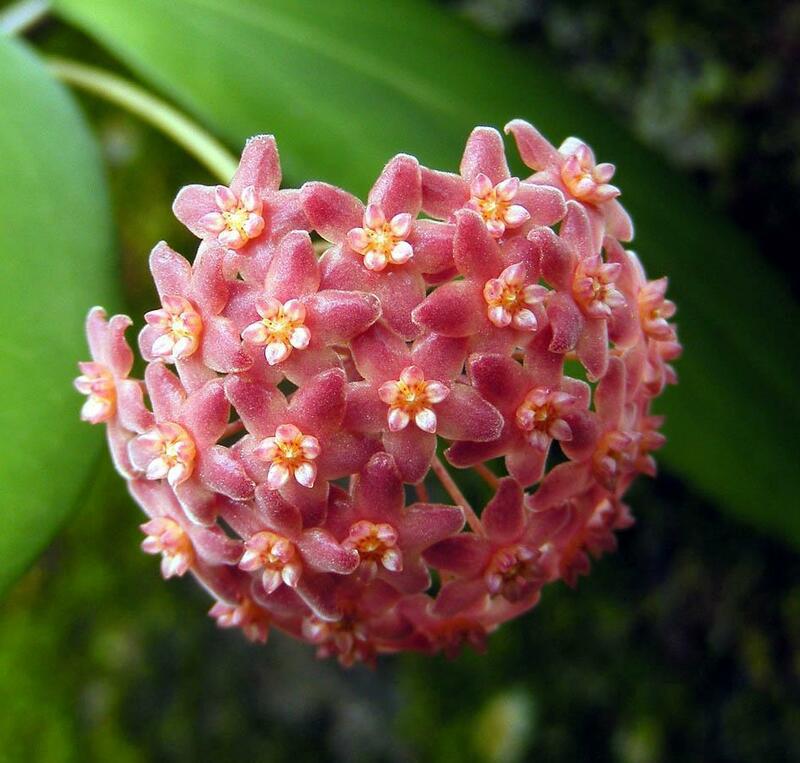 Hoya pachyclada is a member of the Asclepiadaceae is a native of Thailand. 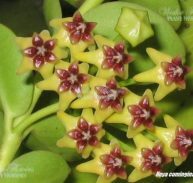 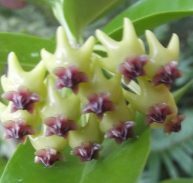 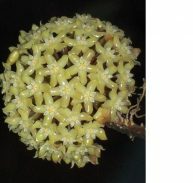 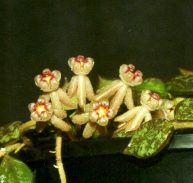 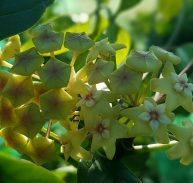 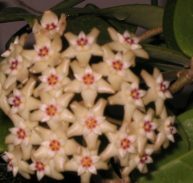 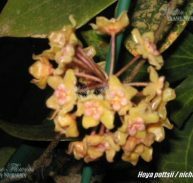 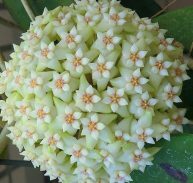 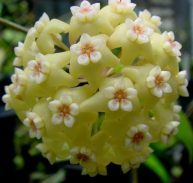 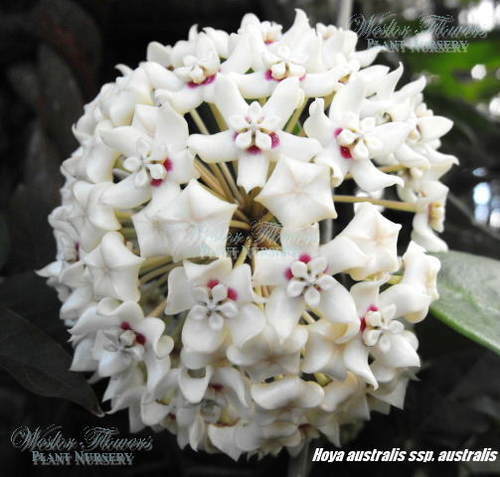 It is a beautiful Hoya, the flowers are creamy yellow with an orange calyx. 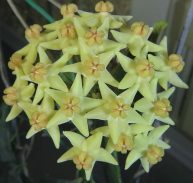 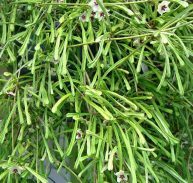 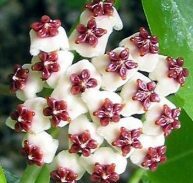 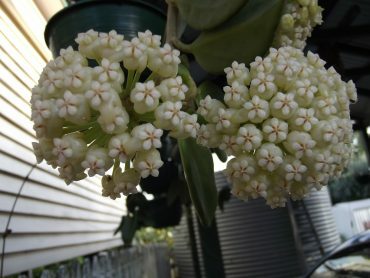 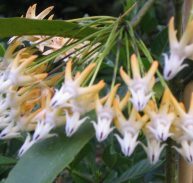 It has 8 mm flowers and around 30 in each umbel with large numbers of flowers on each stem. 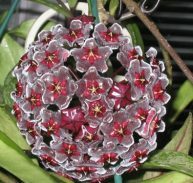 It is a bit slow to get started but then will grow 150 mm at a time. 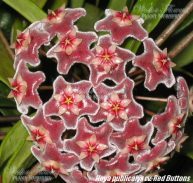 The leaves are thick and succulent like with an attractive red edge. 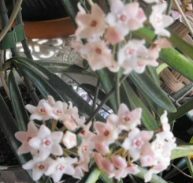 It thrives on neglect but will need a deep watering weekly in its growing season. 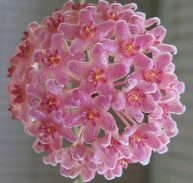 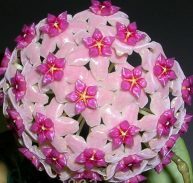 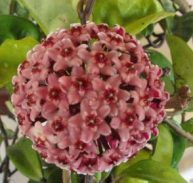 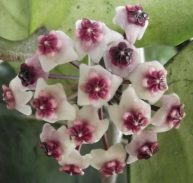 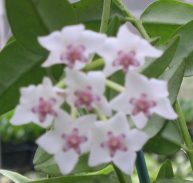 INDOORS: Most Hoya are well suited to hanging baskets this one especially or ladders and can be grown indoors under pot culture in a warm position but flowering is sometimes difficult. 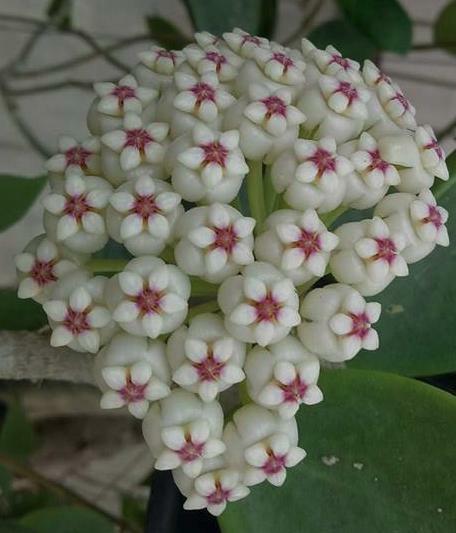 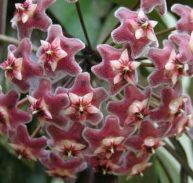 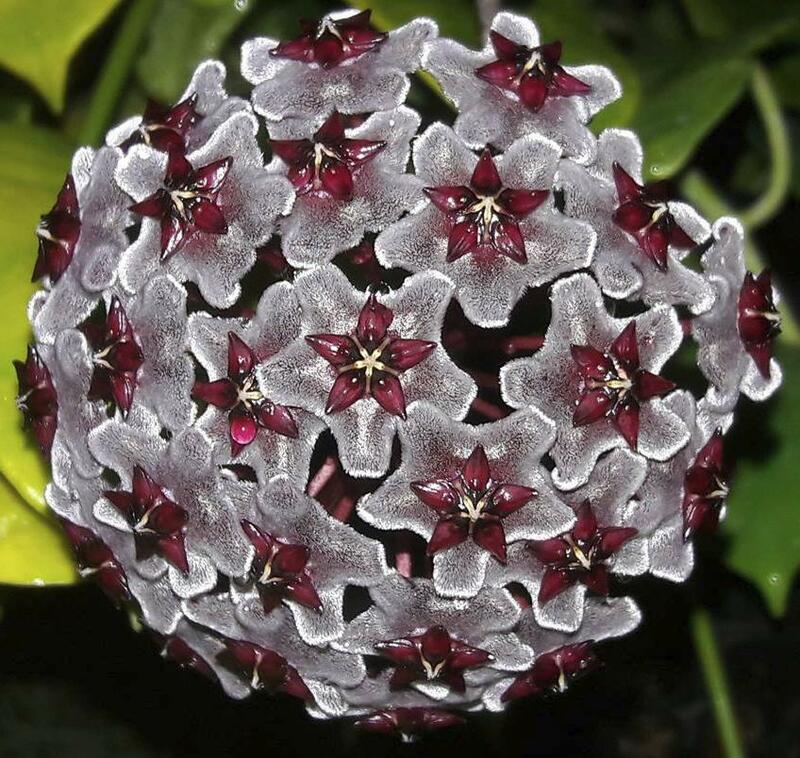 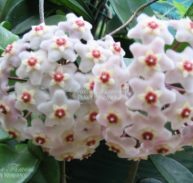 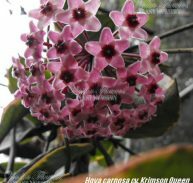 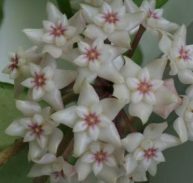 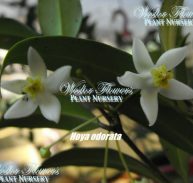 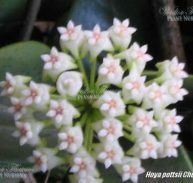 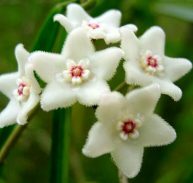 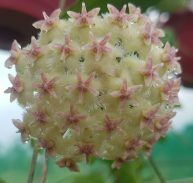 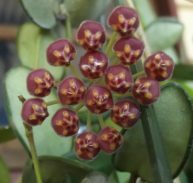 YOU WILL ENJOY THIS GREAT HOYA!